Updated - adds link to government reports on site selection. The campus of the American University of Malta is to be split over a site alongside Dock 1 in Cospicua and a reduced site at Zonqor, Marsacala. Details are being announced this afternoon at a press conference by Prime Minister Joseph Muscat. A storm of protest had broken out after the government originally announced that the university would be sited at Zonqor. Agreement has now been reached between the government and the investors, the Sadeen Group of Jordan, for the campus to be split. "This is a just and fair solution," Dr Muscat said. 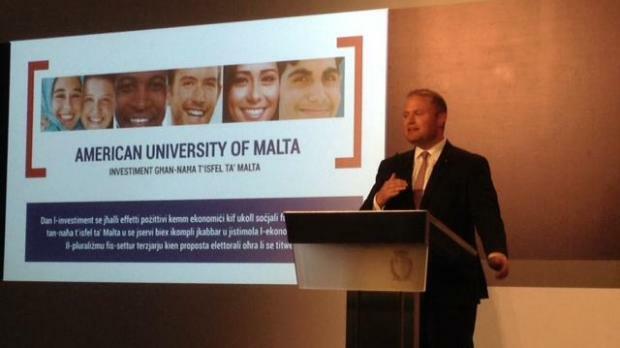 He underlined the importance of the project as Malta continues to diversify its economy and maintain economic growth. Education and health, he said, were strategic areas which the government had earmarked for growth. He said that in just over two years the government had atttracted investment of €500 million in education and health, including €200 million related to Barts in Gozo, the modernisation of St Luke's and the private hospital in Smart City, and this university investment. The university's footprint at Zonqor will be smaller than originally planned, and will be moved to incorporate the current site of the waterpolo pitch along with the bordering fields, all of which are publicly owned except for two small abandoned sites. The fields are outside the development zone. The site will incorporate three university faculties and student dormitories. The development will rise to a maximum height of five storeys, half of what is permissible under the floor-to-area ratio policy, while the foreshore will remain untouched. Dr Muscat pointed out that the shore had actually been earmarked for development by the former government. The present government could have taken that and taken no ODZ land, but the environmental harm was unacceptable. A new waterpolo pitch will be built by the government along the Marsascala shoreline to replace the one which will be demolished for use by the university. The former national pool in Marsascala and adjoining fields. Two faculties will be housed in the historic knights' warehouses alongside Dock 1 and the adjacent former British-built buildings, all of which will be restored. Public access to the area around the dock will be retained and additional buildings will be constructed in keeping with the area. "This will be the most important kickstart for Cottonera," Dr Muscat said. "This is a project which will give enormous impetus to the people of Cottonera." 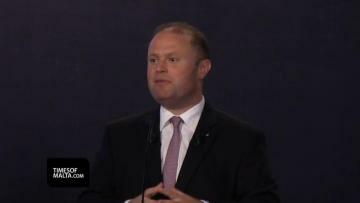 Asked who would pay for the restoration of the old buildings in Cospicua, Dr Muscat said some restoration would be made by the government and extensive works would be carried out by the investor. As for revenue from the lease of the property, Dr Muscat said the most important return was the impact which this project would have on economic growth. This, he said was also how the former government had argued on Smart City. The alternative site selection followed a public consultation process, during which the government received 626 submissions. Of these, 198 were considered invalid as they did not propose an alternative site or proposed a site outside the South region, which the government considers an essential element of the development. The remaining 428 submissions – which yielded 169 possible sites – were whittled down to a shortlist. 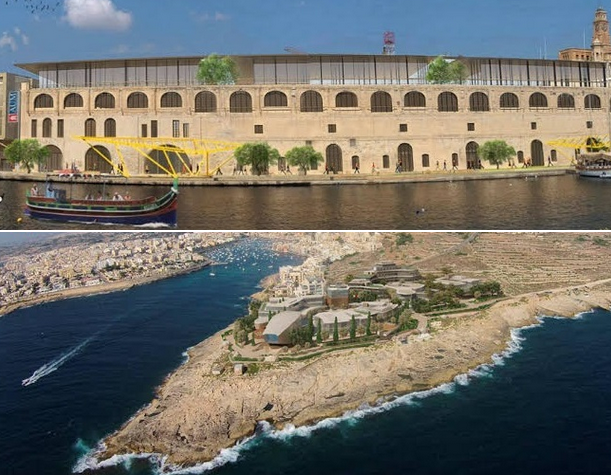 Dr Muscat said the shortlisted proposals included forts Ricosoli, Rinella, St Rocco and St Leonardo, Della Grazia battery, Dock 1, Fort Delimara, Worsley battery and St Paul Battery in Marsaxlokk, Tas-Silg fort, the former national pool in Zonqor and land in Tarxien. Reasons given for the elimination of potential sites from consideration included size, them being earmarked for other uses,lack of supporting infrastructure including roads, and the length of time it would take to rehabilitate them. The planning authority’s assessment of these sites recommended against their use due to the damage that would be done to the historical and environmental heritage. In several cases, the infrastructural adaptations that would have to be made to accommodate the university would have resulted in vast areas of ODZ land being developed, the government said. 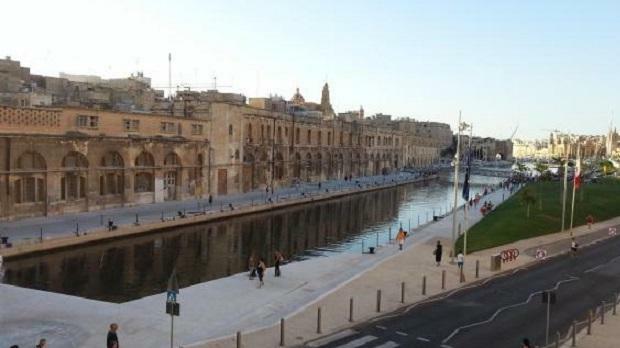 The new Żonqor and Cospicua proposals will now be subject to environmental and traffic impact assessments, as well as all other development processes. 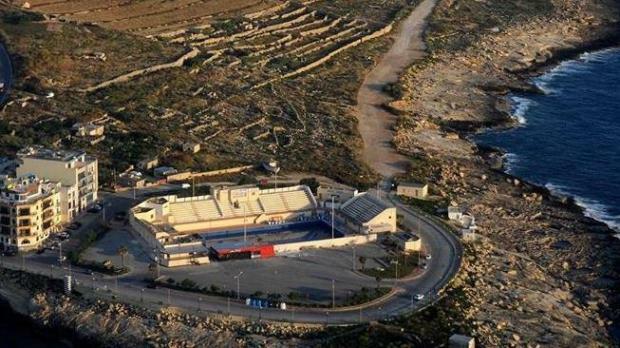 Both the Opposition and the civil society Front Ħarsien ODZ have previously stated that they will not accept any compromise option that results in development of any nature on ODZ land at Żonqor. The first intake of students remains planned for September 2016, with the American University occupying space at Smart City until the campuses are completed. The planned Nature Park will still be built in Zonqor, and its footprint will be enlarged to what was planned in 2001. Dr Muscat said the report on the public consultation on the campus locations is being published online by the government. The press conference is still in progress. In a tweet shortly before the prime minister's press conference Opposition leader Simon Busuttil in a tweet said: "AUM announcement imminent? Looks like Joseph Muscat needs to divert attention from one scandal to another." Front Harsien ODZ said that Government's proposal is better than the original proposal, but it is unacceptable to use ODZ land for the purpose. "An ODZ area of 18,000 square metres will be used instead of 90,000 square metres for the project, and the rest will be hosted at Dock Number 1 area in Bormla (Cospicua). This is an improvement, however we ask why Government couldn't have spared all ODZ land for the purpose, thus making all development on land which is already built-up". "We therefore ask Government to publish its agreement with Sadeen and also to inform on the status of MEPA's study of alternative sites, which is due to be presented in the upcoming parliamentary environment committee. The timing of Government's statement, when parliament is closed, is not very comforting"
The Front said its public protest in June had a huge impact on the government's position.